Noon. The group Prisma will perform a concert entitled The Seasons at Mdina Cathedral’s Aula Capitulare. 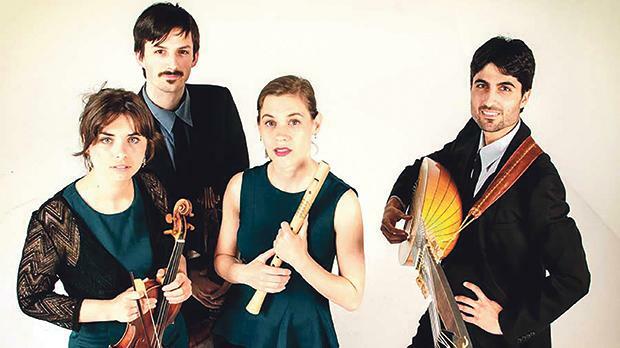 The ensemble of four young musicians – Elisabeth Champollion on recorder, Franciska Anna Hajdu on violin, Dávid Budai on viola da gamba and Alon Sariel on lute plays particularly expressive, wacky, and colourful music of the 16th and 17th century. In May 2015, Prisma won first prize at the International Heinrich Ignaz Franz Biber Competition in Austria, and in the subsequent years they were accepted to be part of the programme of the Centre Culturel d’Ambronay Emerging European Ensembles Festival. 5.30pm. Concerto de’ Cavalieri, will perform the concert Vivica Genaux is Farinelli at the Manoel Theatre, Valletta. Hailed by Fanfare Magazine as “one of Italy’s most vibrant and exciting groups dedicated to period-instrument performance of 18th century music”, Concerto de’ Cavalieri was founded by Marcello Di Lisa and regularly performs at some of the most prestigious international venues. Intensely involved in the rediscovery of forgotten works, Concerto de’ Cavalieri also enjoys a busy recording activity for Sony. In particular, since 2011 the orchestra has started The Baroque Project, a long-standing recording project with Sony Classical on Italian opera in the 18th century, that to date has issued five CDs. 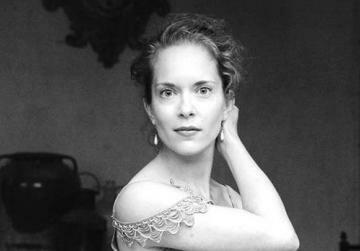 For this concert the group is collaborating with mezzo-soprano Vivica Genaux. The recipient of Johann Adolf Hasse-Stiftung’s 2019 Hasse-Preis and the City of Halle’s 2017 Händel-Preis, Genaux hails from Fairbanks, Alaska. In the course of her two-decade career, her voice has been heard in many of the world’s most important venues. Noon. 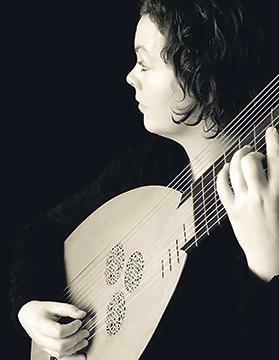 Imago Mundi, Sofie Vanden Eynde and Lore Binon will perform a concert entitled Sacrificium in the Grand Salon of the National Museum of Archaeology, Auberge de Provence, Republic Street, Valletta. In 2012, Vanden Eynde set up Imago Mundi, an ensemble which aims to foster encounters between different branches of the arts and kinds of music: eastern and western, old and new. Divine Madness, their first production, enjoyed national and international acclaim. The group’s current project explores the enduring fascination of Mary Stuart in the chamber opera “In my end is my beginning”. Violinist Lore Binon obtained a master’s in violin at the Royal Conservatory of Brussels, following which she obtained a Bachelor degree following vocal training at the Royal Conservatory of Brussels. She continued her vocal studies in Barcelona at the Escola Superior de Musica de Catalunya and in 2011 she obtained her Masters degree at the Conservatory of Amsterdam with Valérie Guillorit. During her studies she was awarded the Cardon prize for exceptional results by the Royal Conservatory of Music, Brussels. 7.30pm. Lautten Compagney Berlin will perform a concert entitled Timeless at the Malta Maritime Museum, Vittoriosa. One of the most renowned and creative baroque instrument ensembles in Germany, Lautten Compagney Berlin, under the artistic direction of Wolfgang Katschner, is a regular guest at leading national and international concert halls and festivals. The ensemble has fascinated audiences for three decades with their infectious joy in performing and their innovative concepts, these ‘early musicians’ effortlessly translate the musical language of the Baroque to the present. The ensemble has received numerous awards for its musical collaborations. For its CD recording of the programme Timeless, combining early Baroque music with works by Philip Glass, it received an ECHO Klassik award in 2010. It also won the Rheingau Music Prize 2012 in recognition of its creative concert programming.